Belzebuub is the spiritual pen name of the author Mark Pritchard who has written multiple free courses and 7 books on topics such as out-of-body experiences, self-discovery, dreams, the development of consciousness, and the path to enlightenment. He says the name Belzebuub is the eternal name of his consciousness, and that everyone has an inner spiritual name which they can discover. Belzebuub has always taught freely. His free courses were taken by more than 90,000 people in over 100 countries. His books were also released online as free eBooks, and were downloaded over 140,000 times before they had to be taken offline due to extreme plagiarism. Over 900 separate instances of plagiarism of Belzebuub’s work have been found. Belzebuub’s book on astral travel was a bestseller in its genre on Amazon.com and his title Gazing into the Eternal was a finalist in the 2009 USA News Best Book Awards. Belzebuub has appeared on over 70 radio and television programs internationally, including 19 interviews with the BBC.1 He has also taken part as a panelist with leading academics on national television in Cyprus and Greece discussing the discovery of the controversial ancient text the Gospel of Judas. Belzebuub’s own personal spiritual journey began as a child when he had numerous psychic faculties and supernatural encounters. Later, as a teenager, he was particularly interested in the work of Krishnamurti. In his twenties he decided to dedicate himself to his search for spiritual truth. Belzebuub began a spiritual practice in earnest in 1990 when he discovered the work of the spiritual teachers Samael Aun Weor and Rabolu. For the next 9 years he taught and practiced their work, saying that he found it to be the most effective form of spirituality he had ever encountered. During this time he established spiritual study centers in 8 cities and ran classes in 5 others across 4 countries and 2 continents, often with very little money, and always teaching for free. Mark (Belzebuub) in the light colored jumper, sitting listening to Krishnamurti at the series of talks he gave at Brockwood Park in 1983. In 1999 Belzebuub founded a non-profitorganization called The Gnostic Movement in Australia, which taught the work of Samael Aun Weor as well as his own. In 2001 Belzebuub wrote and released three free spiritual courses, which were run both online and in person, and were the most popular of their kind at the time. 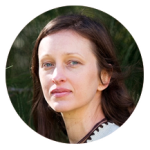 These courses proved to be highly effective in helping participants to gain spiritual experience; for example, 67% of people surveyed who had completed Belzebuub’s Course on Astral Travel and Dreams, had their first out-of-body experience during the course. Belzebuub spent over a decade teaching freely in The Gnostic Movement. The Gnostic Movement provided courses, workshops, events, social gatherings, retreats, video classes, websites, forums, chat rooms, eBooks, and produced a feature length documentary, all of which were created, administered, delivered and publicized by volunteers. Belzebuub also provided many educational resources in video format, some of which are still available on YouTube and Vimeo. Because of the principles of Belzebuub and The Gnostic Movement’s volunteers who did not want to profit from giving spiritual information, people were able to participate in these activities entirely free of charge (or at cost in the case of retreats). The Gnostic Movement had a presence in Australia, the USA, Canada, the United Kingdom, Greece, Cyprus, and Malaysia. The response to it was overwhelmingly positive, with more than 90,000 people taking the courses offered by TGM both online and in person throughout its period of operation from 1999 to 2012. Photos from The Gnostic Movement. Despite the popularity and praise for Belzebuub’s courses, one of these 90,000 participants — who had never met Belzebuub and who had attended just two of the free introductory courses offered by The Gnostic Movement — went on an obsessive trolling campaign that lasted for 3 years. This person has acknowledged psychological issues, and posted 196 comments in a forum thread in just one year alone. Often this individual would post huge rants in rapid succession, replying to themselves. They anonymously posted reams of outlandishly defamatory claims which became increasingly exaggerated and absurd. These intolerant and irrational attacks against Belzebuub and The Gnostic Movement were made under a pseudonym on the forums of an anti-cult website. This person also made videos, created their own blog, and posted on social media, even going as far as to admit they routinely ripped down The Gnostic Movement’s posters. In one comment they stated “I would love to know what I can do… other than ripping down their posters wherever I can.” and in another that they wished they could conjure demonic entities to send at Mark. The unscientific and bigoted anti-cult movement — whose past is littered with the types of criminal activity they often illegitimately accuse spiritual groups of perpetrating — , was used by a minute percentile (0.01%) of The Gnostic Movement’s former attendees to whip up grossly defamatory lies about Belzebuub and The Gnostic Movement. What Belzebuub and The Gnostic Movement experienced is just one of many examples of how anti-cult ideology is being used to radicalize individuals against harmless groups. These individuals — who often have a history of mental health issues — are being used to suppress many alternative forms of thought and opinion, even those with histories that span thousands of years. You can read a detailed rebuttal of the false claims made against Belzebuub and The Gnostic Movement here and here. Just some of the people who attended The Gnostic Movement, and have shared their positive experiences. Belzebuub (Mark Pritchard) and his wife who both write and work together on his official website. In 2012 The Gnostic Movement closed, and Mark (Belzebuub) moved on to other projects. His talks, interviews, and articles were published on his personal website, which has now been developed into a large free online resource that has had well over 2.5 million hits. The material of his free online courses was provided on his website as free eBooks, where they were downloaded over 140,000 times before being taken offline due to rampant plagiarism. Most of Belzebuub’s books are now available in print on Amazon.com and from other book retailers, with the rest of his books to be released in print soon Belzebuub has also written a number of new books with contributions in research from his wife Lara, and most of his media interviews are now available on his YouTube channel. Today Belzebuub continues to give his work away freely, receiving no royalties or payment from his work so that his books can be sold as close to cost as possible. One of the first courses Belzebuub created was in astral travel and dreams, where he taught participants how to understand and explore out-of-body experiences. He writes that out-of-body experiences have been used by people since time immemorial to explore other dimensions, and to gain spiritual knowledge first-hand. Some eminent quantumphysicists propose that such parallel dimensions exist. The main focus of Belzebuub’s work however, is a process of inner change and transformation in which someone increases their consciousness (thereby increasing feelings of love and peacefulness for instance) and reunites with higher parts of their own Being. He writes that ancient people used the sun to symbolize this higher Being, which was once central to an ancient religion that spread across the Earth. This ancient religion was practiced by a lost global civilization that built thousands of megalithic sites with solar alignments at the solstice and equinox, such as the Great Pyramids of Egypt, the statues of Easter Island, and Stonehenge. 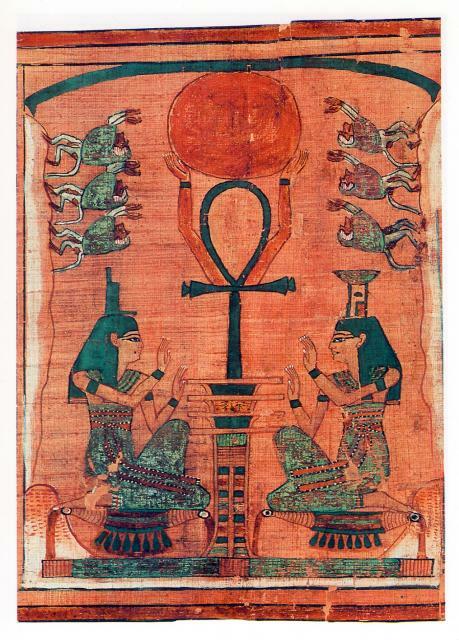 The ancient Egyptians worshipped the sun as the living manifestation of the creator and each person’s higher Being. Their religion came from a more ancient source that once existed throughout much of the world. The loaded and bigoted term “cult” is being used to stop people’s search for truth, and attack anyone who has any kind of apparently “non-mainstream” point of view. However, the ideologies attacked include those found in ancient Egypt, Buddhism, Hinduism, ancient Christian Gnosticism, Paganism, and Native American spirituality etc. Innocent people are lied about by those who hide behind anonymity so they can avoid the consequences of their actions, which in many cases are against the law. Below you’ll find more information and a collection of articles examining different aspects of the anti-cult movement, how the word “cult” has been used to stigmatize innocent people, and how the anti-cult movement has stifled and suppressed freedom of alternative thought and belief. For almost five decades the counter-cult and anti-cult movements, with the support of the mainstream media, have been working to stifle and undermine society’s legitimate right to freedom of thought and belief. While the actions of the anti-cult movement are often positioned as a societal necessity behind a mask of moral righteousness, in reality this moral façade has been used to justify a history of anti-cult persecution, bigotry, violent force and other terrible crimes upon innocent groups and individuals, reminiscient of the witch hunts and inquisitions of old. However, while suppression of alternative spirituality in the past was often accomplished through physical violence, in this day and age it has become largely psychological, backed by years of fear-inducing and scientifically unsupported anti-cult propaganda, regurgitated by the mainstream media. This propaganda and the stigma that has been created throughout society by illegitimately portraying alternative spiritual groups as criminal or harmful effectively causes individuals to self-censor their spiritual interests, or to limit them to mainstream commercial spirituality which upholds the status quo. The extent that suppression of alternative spirituality can reach, with an analysis of aspects of the anti-cult movement in China where it predominates the religious landscape.